Stationary and stationery sound alike, but their meanings are different. 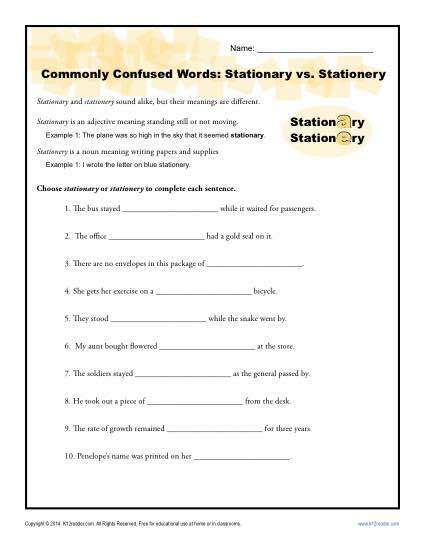 Stationary is an adjective meaning standing still or not moving. Stationery is a noun meaning writing papers and supplies. You may find it helpful for Common Core Standards for Language for 4th grade, although it may also be useful for other students.